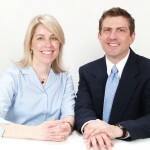 Jeff and Jane Hoffman started Starlit Software in 2001. They each had a track record of success in different technology companies and they both had a clear vision for the company they wanted to create. They set out to build a technology company where they could work on challenging problems and deliver high-impact solutions, while having fun and establishing great relationships with clients. They have been running Starlit for more than a decade and both Jeff and Jane would agree that they have realized their initial vision for the business. In the past 10+ years, they have worked with an impressive roster of clients and have established a great reputation for developing creative solutions and implementing them effectively. They have cultivated strong client relationships and they are typically engaged by clients to tackle additional projects or provide advice as consultants. Jeff and Jane, as active members of the technology community, have attracted some real superstars to their team. Their passion and commitment to delivering results with a consistent, engaging working style, has resonated with other technologists. They started Starlit Staffing as a new service to connect these star performers with clients who need their positive energy and technical prowess in their organizations. e are passionate, intense and fun-loving. We relish the opportunity to solve hard problems and are driven to deliver results. We care about our clients, their businesses and the communities in which we live and work. ou can count on us to deliver a solution on time and on budget and often with more functionality than you anticipated. Our job is to make it easier for you to do your job. We are positive and motivated team players so you should enjoy the process of working with us.